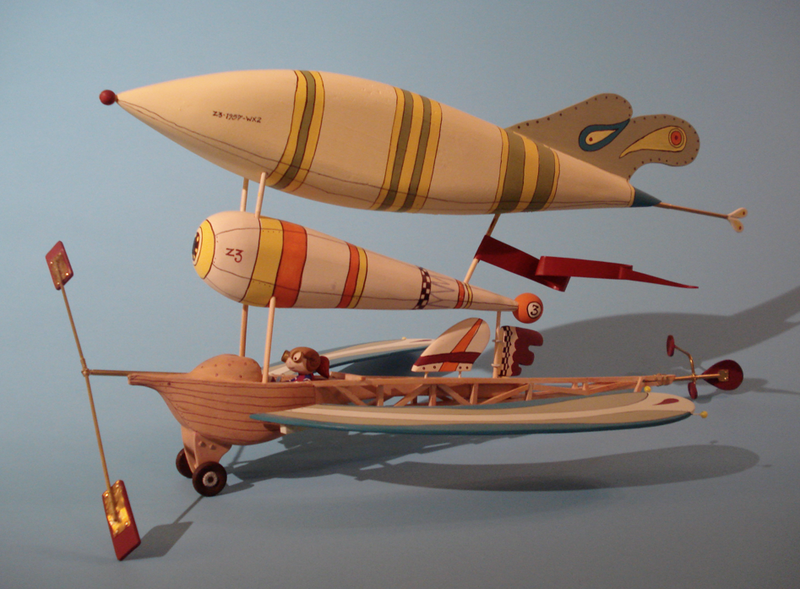 In Zephyr's bedroom airplanes are everywhere. There are airplane posters on the wall, fresh sketches of airplanes on the table, recently constructed paper airplanes on the floor, and airplane models hanging from the ceiling. 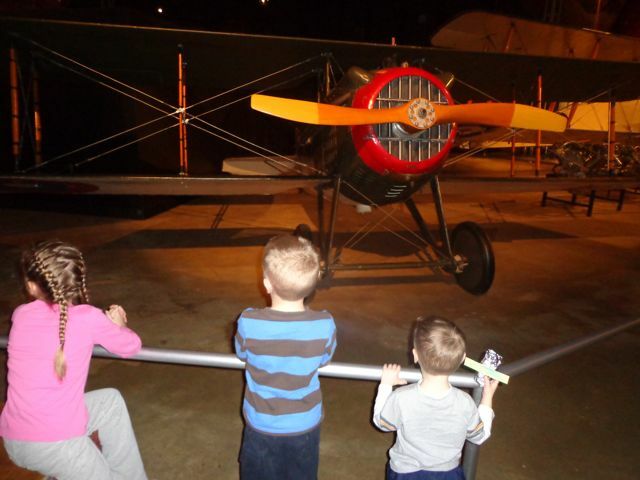 Zephyr zooms one of her airplanes from room to room asking family members to play. Since everyone is busy she decides to act out her dream of flying a real airplane in the living room. Her TRIPLE LOOP-DE-LOOP SPECTACULAR off the couch is a little too spectacular and breaks many of her family's delicate valuables. She is sent to her room for a timeout, but instead of sulking Zephyr makes an amazing discovery that will lead to a dream fulfilling adventure. 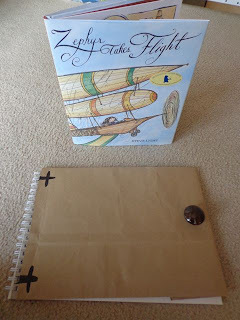 Steve Light's new book Zephyr Takes Flight was recently selected as one of seven books that celebrate Girl Power (Blogher) and it also inspired a family reading experience we will never forget. 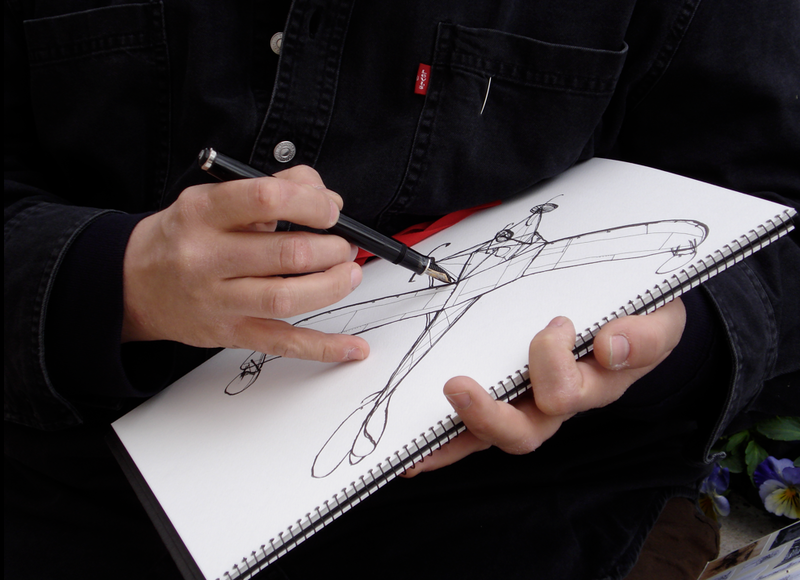 We celebrated Steve Light's birthday for the first time back in 2011 and learned that he loves using fountain pens to illustrate his books. 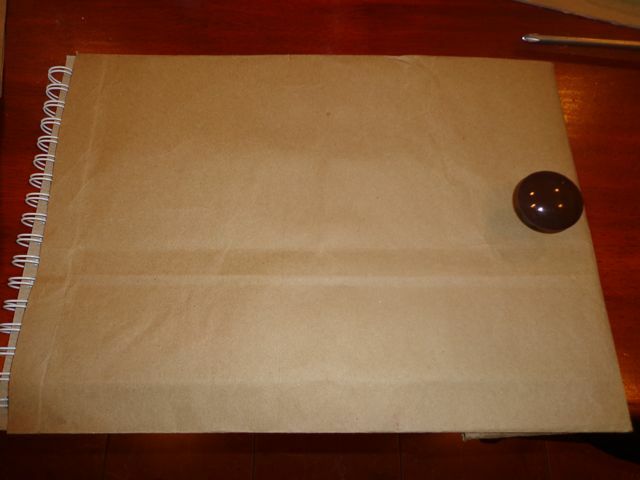 In fact, he has received many fountain pens as birthday presents from his wife. 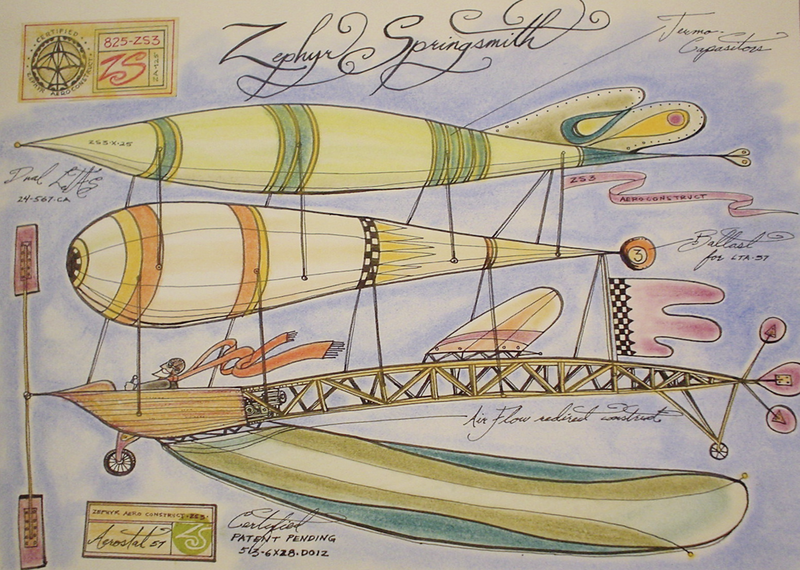 Steve Light illustrated The Christmas Giant and Zephyr Takes Flight with pen and ink using fountain pens. 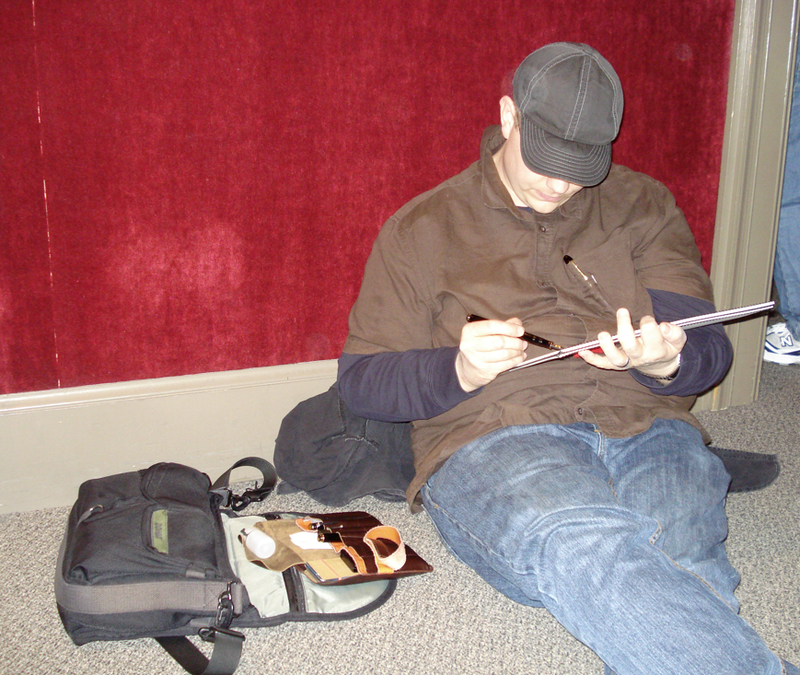 For Zephyr the fountain pens he used were a Pelikan M1000 and a Mont Blanc 149. 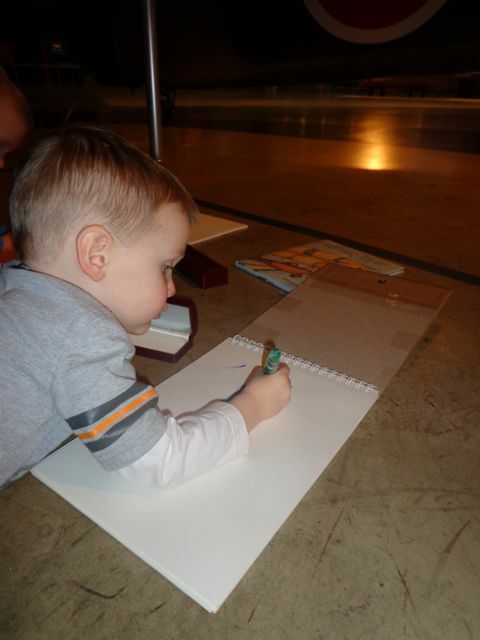 The illustrations were colored using PanPastels and Prismacolor colored pencils. 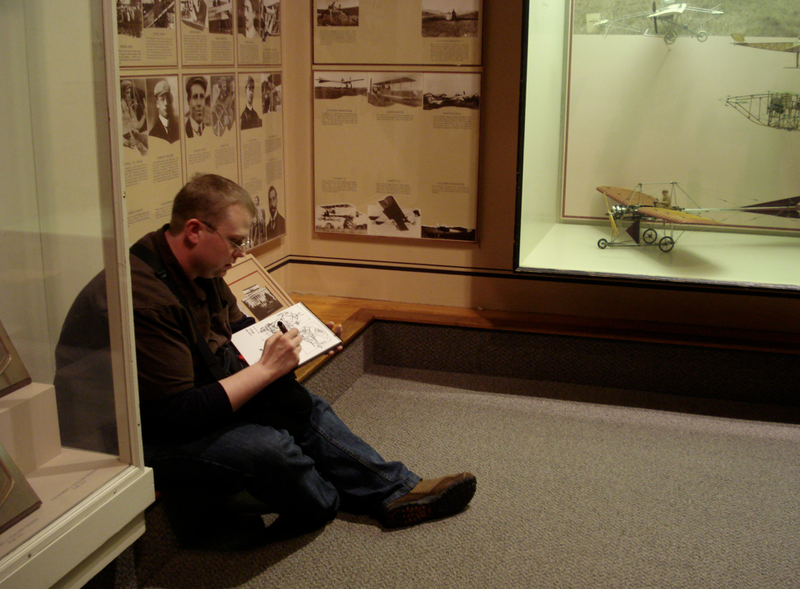 In an interview on the Seven Impossible Things blog he said, "All my books start with drawing, usually in my sketchbook. It is usually something I want to draw, and it becomes a story. 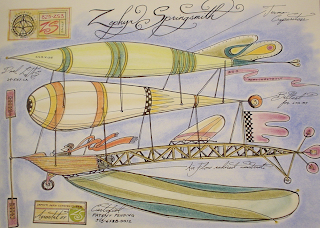 Zephyr Takes Flight started as a sketchbook of Flying Machines." According to the Zephyr Takes Flight Facebook Page, Steve said, "When I was working on Zephyr Takes Flight, I went to the Air and Space Museum in Washington D.C. and drew a lot!" 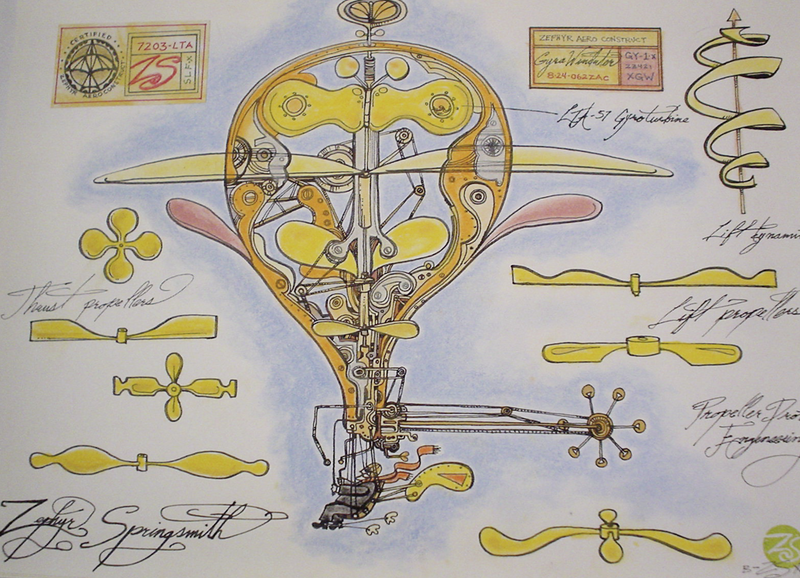 Another drawing from his flying machine sketchbook. "The sketchbook is what got me the book deal for Zephyr Takes Flight." (Facebook Timeline). 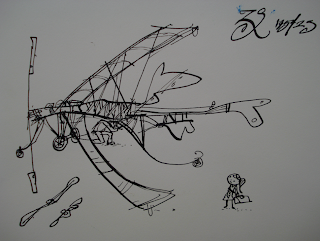 A sketch of Little Zephyr and a flying machine. When Zephyr is sent to her room she sails one of her paper airplanes behind her dresser. Upon moving the dresser to locate the paper airplane she discovers a secret door. 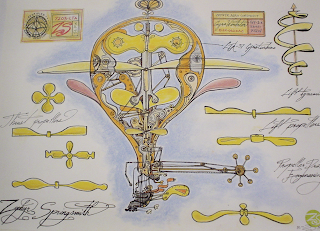 Behind the door she finds, "the most wondrous place," her Grandfather's workshop filled with flying machines and a desk surrounded with maps, drawings, books, and even fountain pens! 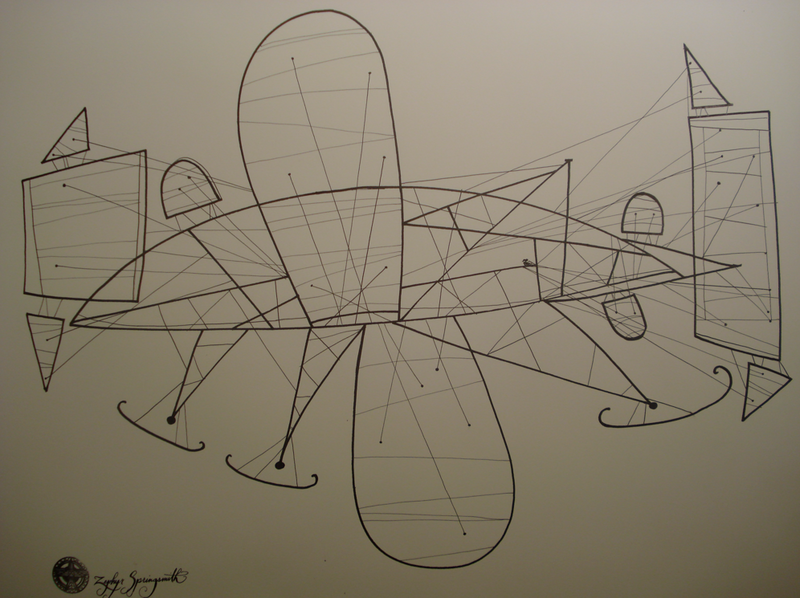 The sequence of illustrations pictured above is Zephyr opening the secret door in her room. The first time I read the book I couldn't wait to see what was next. 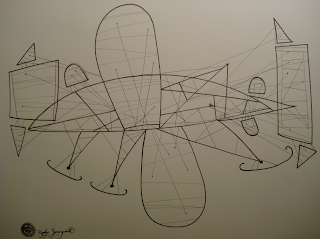 Upon seeing the illustration on the next page, I just stopped and stared just like Zephyr did upon entering the room. The excitement of what was behind the secret door was something I wanted to try to bring to life by making "Secret Door Sketchbooks." I purchased four sketchbooks at a local craft store. When I got home I flipped one of the sketchbooks so that the hard cardboard back was now the front of the sketchbook. 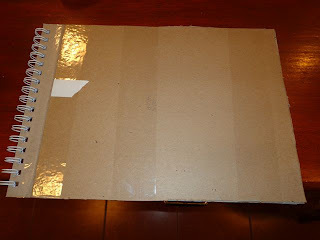 Then, I taped another piece of cardboard to the sketchbook to make it sturdy and thick. 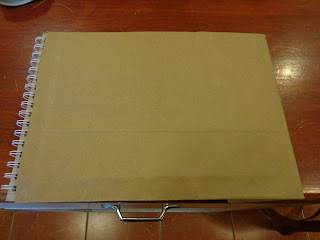 Then, I covered thick and sturdy "new front" of the sketchbook with a paper grocery bag. 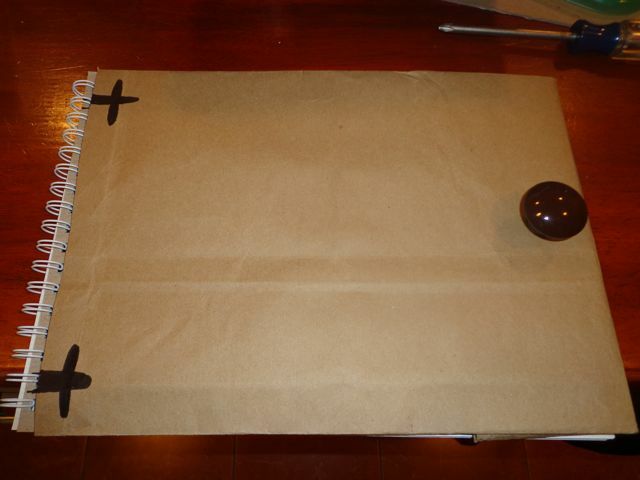 This reminded me of when I covered my textbooks in middle school. 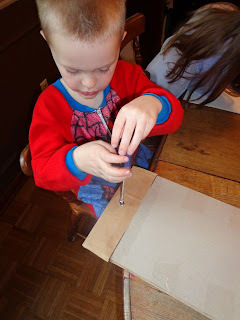 I attached a drawer pull to sketchbook using a screw to make it look like the door in Zephyr's room. Lastly, I colored airplane-ish hinges on the side with a black marker to complete the project. I did all of this without my children, because I wasn't sure it was going to work. 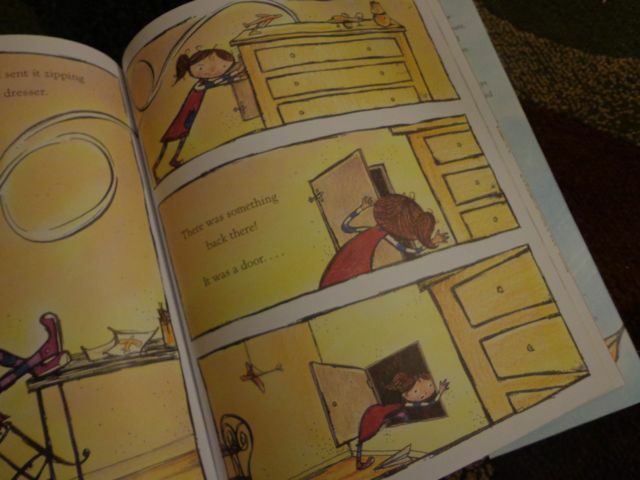 But it did -- it looked just like the secret door from Zephyr's room! 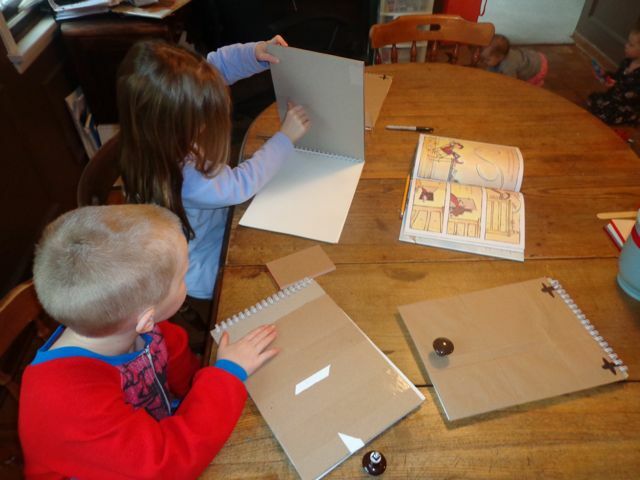 The next day my children completed the same steps to make their own Secret Door Sketchbooks. Our sketchbooks were complete but to make this a true Steve Light birthday celebration we needed fountain pens. I contacted my sister and brother-in-law who own and operate EDISON PEN COMPANY. I explained what we were doing and they graciously shipped pens out the next day for their niece and nephews to use. THANK YOU BRIAN and ANDREA. We had never used fountain pens before. It was a wonderful exprience to learn how to use them from start to finish. 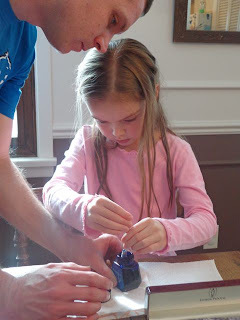 We worked together filling our first fountain pen! Practicing for the first time! Are we looking at a future Steve Light? Love this picture! Two brothers experiencing something new together. 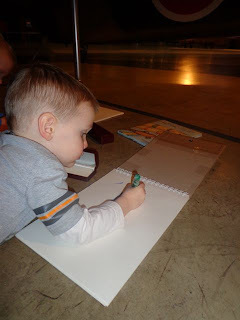 So we had Zephyr Takes Flight, our Secret Door Sketchbooks, and our Edison Pen Company fountain pens but we needed something else for this birthday celebration to be complete. 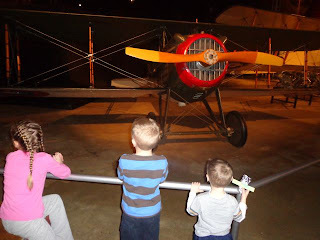 We needed some flying machines! 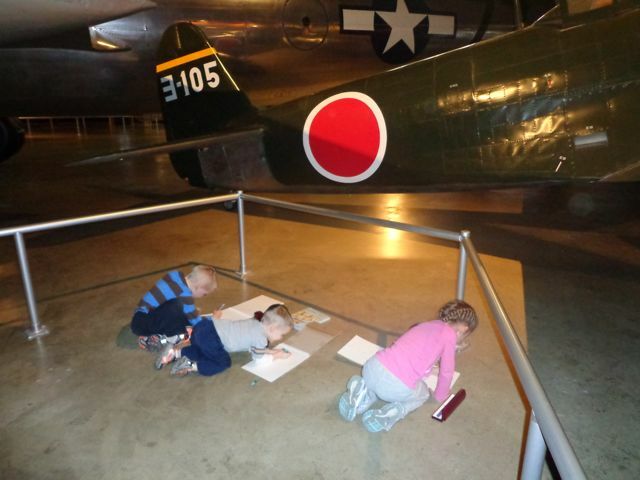 The closest museum with airplanes was the National Museum of the United States Air Force at Wright-Patterson Air Force Base near Dayton, Ohio. 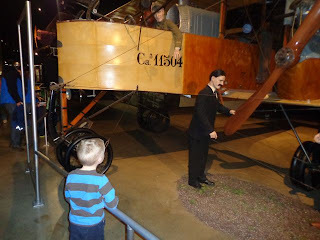 We made a weekend trip to visit the museum and some of our closest friends who live in the area. 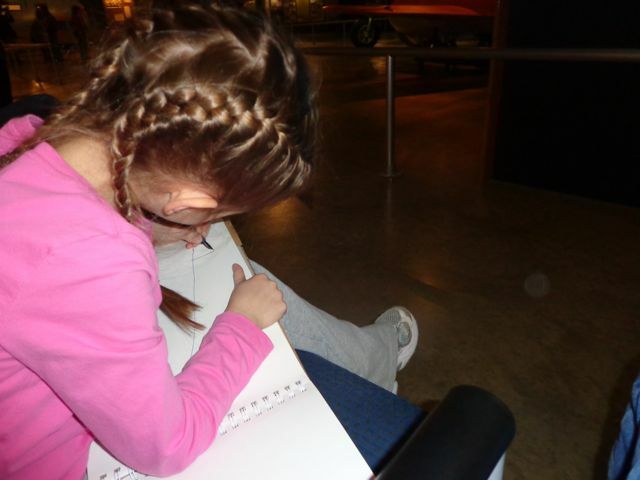 The museum is amazing! I have never seen so many airplanes in one place. 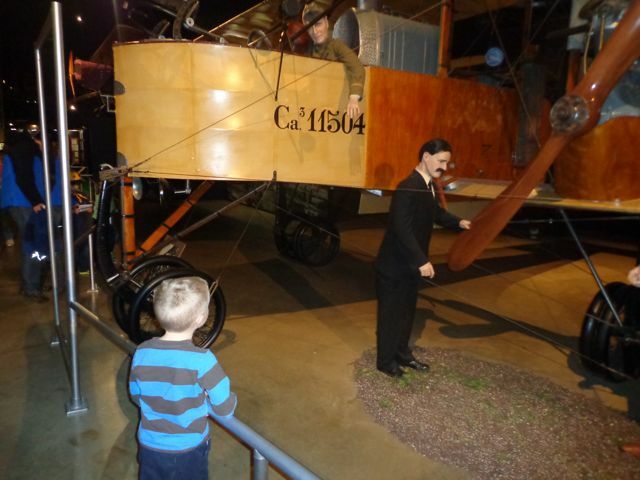 There were hundreds spanning from the beginning days of flight to modern day. 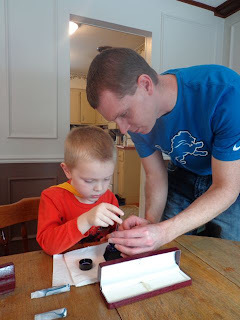 I think I heard "Dad, look at this one!" about fifty times! We found a space where it was quiet and very few people were visiting. The kids got out their fountain pens, Secret Door Sketchbooks and started drawing. It was so cool to see how excited they were! My little guy drew lots of windows on his airplane. This day was made even better because my best friend from grade school and his two children joined us at the museum. 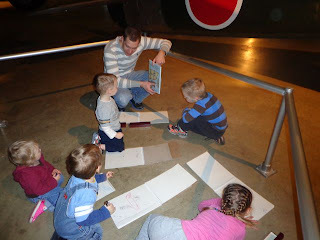 They enjoyed sketching the airplanes too. 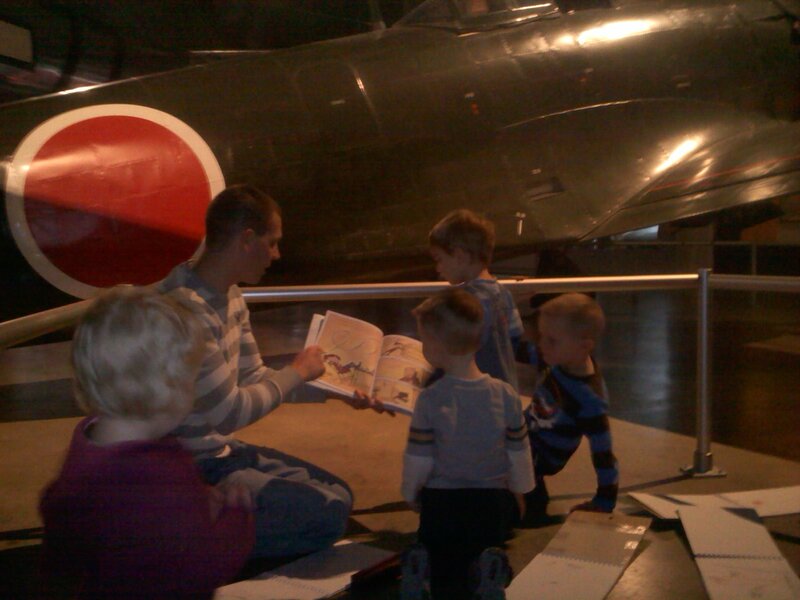 Reading Zephyr Takes Flight next to an airplane was awesome! 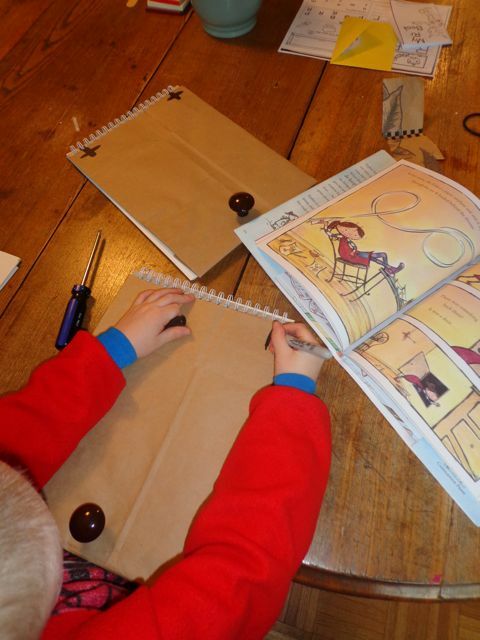 My oldest daughter wrote on the front of her Secret Door Sketchbook, "Open and find an adventure in your hands. Could it be true?" I think that says it all. 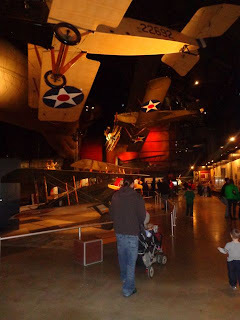 Thank you Steve Light for sharing the photos from the Air and Space Museum. We love your new book and will never forget our experience reading it! 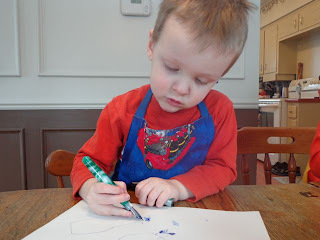 Steve also shared that he is working another book HAVE YOU SEEN MY DRAGON? that is due out from Candlewick in 2014. We can't wait! 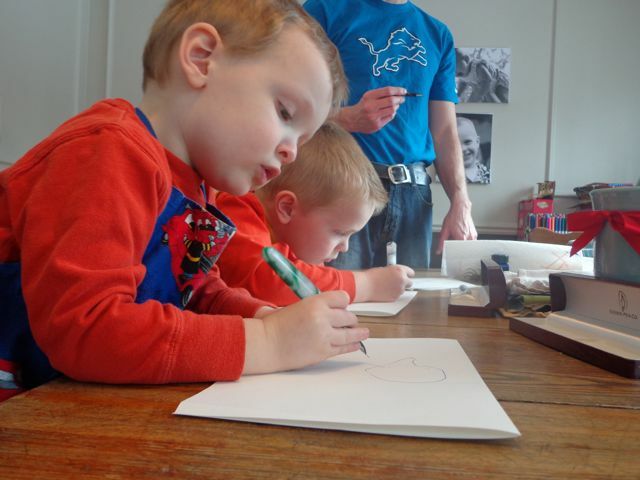 Thank you again to Brian and Andrea at Edison Pen Co. for making this birthday celebration possible! 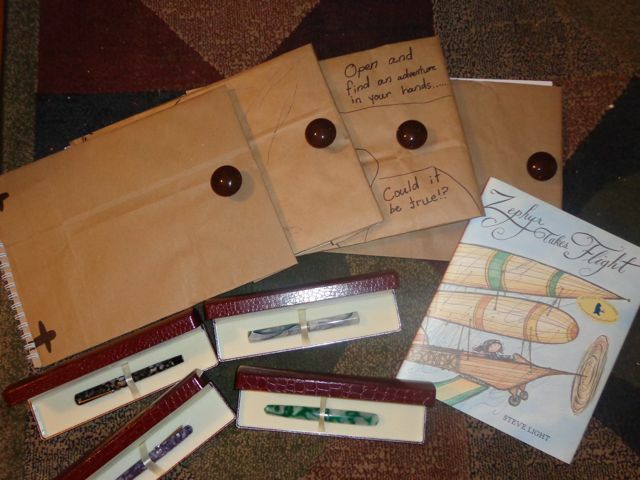 You can follow Edison Pen Co. on Facebook, Twitter, Google+, Pinterest, and YouTube. Great post! We love Steve's work! 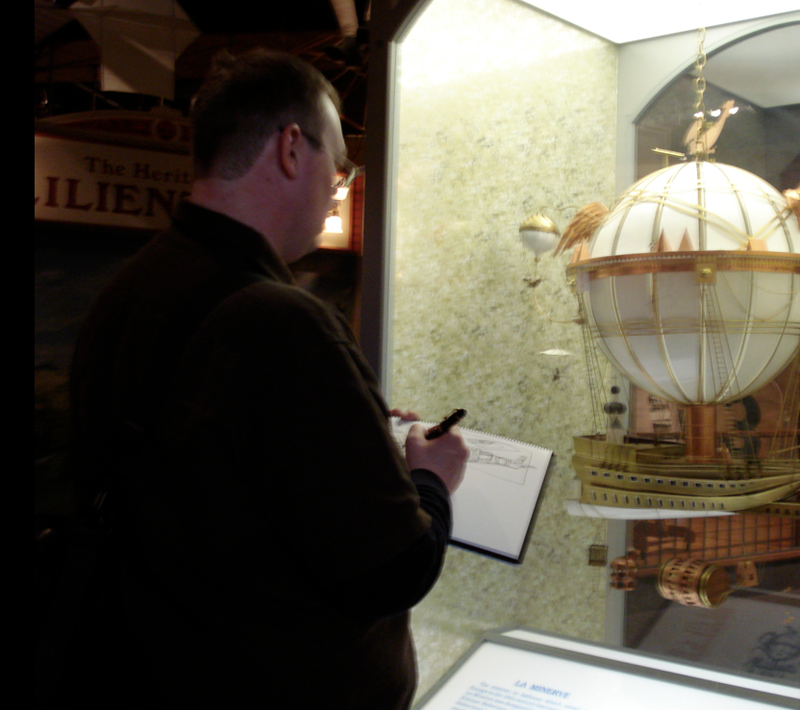 I was amazed at the illustrations and how much you did to extend the book! I pinned your beautiful sketch book. Thanks for sharing with the Kid Lit blog hop. Wow! What work! 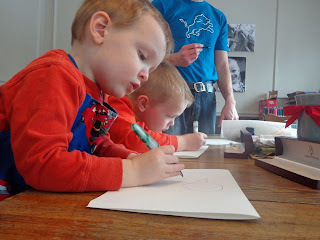 And what lovely things for your kids to do. 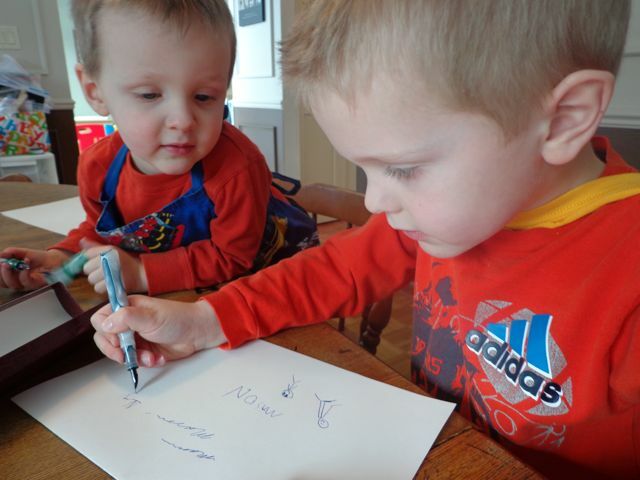 I love the fact that they're learning to use fountain pens. I found you via the Kid Lit Blog Hop. Those are fabulous illustrations! 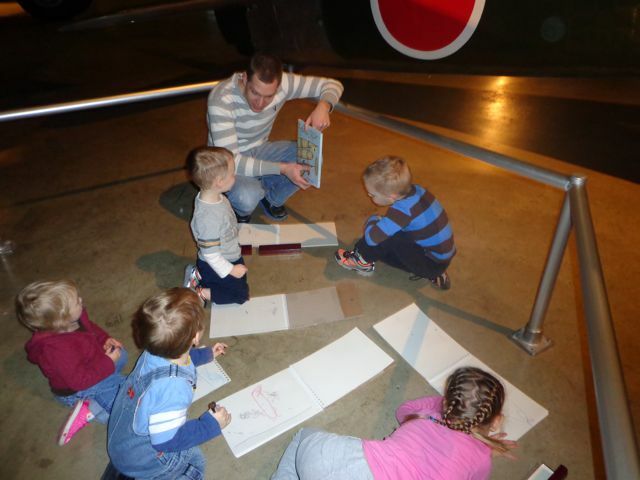 I am fascinated to see how the activities too :) Thanks for sharing!